Active phased array antennae are antennae at which the transmit power is produced by many rx/tx- moduls of low performance on the antenna directly. E.g. : the Tornado-Nose-Radar and the air defense radar RRP-117. These antennae are described in an earlier chapter. 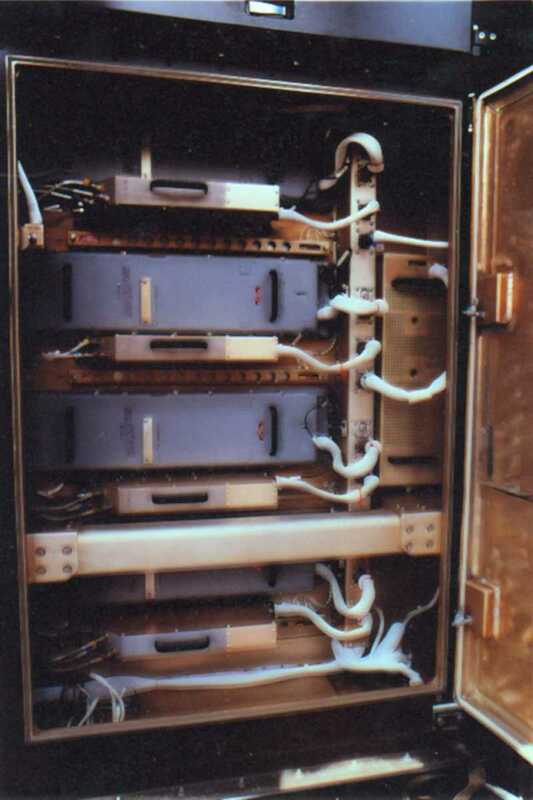 The special transmitter modules come up on this page. An active phased array uses a special type of solid state transmitter module. The arrangement applied to most active phased arrays is shown on the figure. All components are assembled in one single T/R module. This module integrates the electronic phase shifter, the digital controlled attenuator, the solid-state power amplifier, the low noise amplifier (LNA) and two circulators and a Duplexer. It is also usual for the module to have self test and status features so that the overall performance of the system can be assessed (BITE). 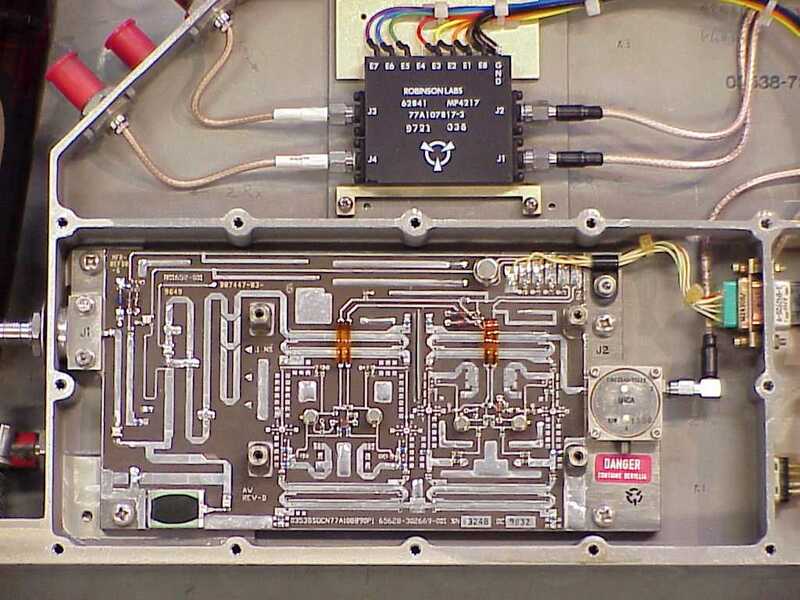 A limiter is sometimes added between the LNA and antenna. This reduces very strong incoming signals from jammers or large targets (with very high Radar Cross Section) close to the radar. The limiter also protects the receiver against duplexer failure. 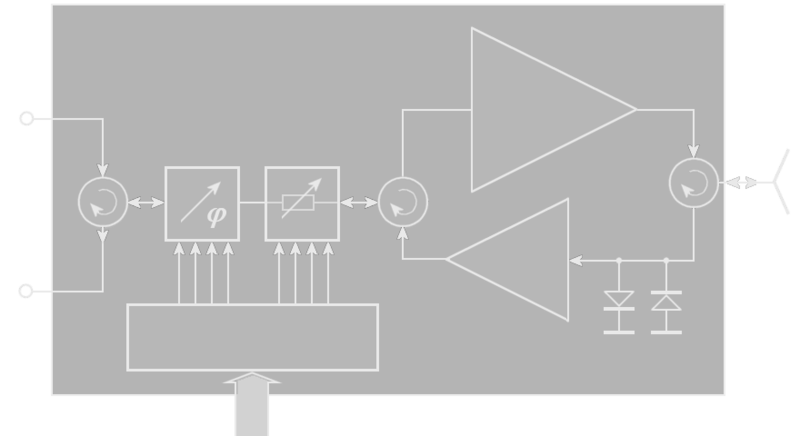 A simple limiter implementation consists of two pin diodes connected in parallel but with inverted polarities. In many recently developed radar sets like the RRP-117 are used power-amplifier transmitters. 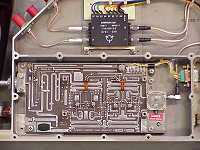 This transmitter works multiplexed with two frequencies. These two frequencies are linear FM- modulated for the pulse compression. By this pulse compression method the radar don't need so high pulse power, therefore a good maximum range is obtained despite the lower pulse power limited by semiconductor amplifiers. 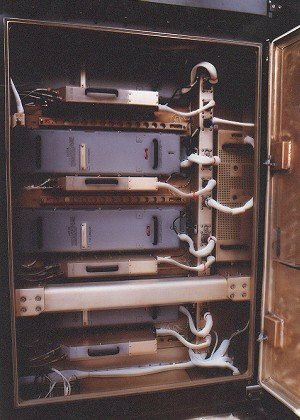 Every row of the phased array antenna has got an own solid-state power-amplifier module and an own receiver. The combination of the received signals by the monopulse antennae concept is carried out after the mixer stages on the IF-frequency. The power moduls providing with needed currents is carried out via a bus system. 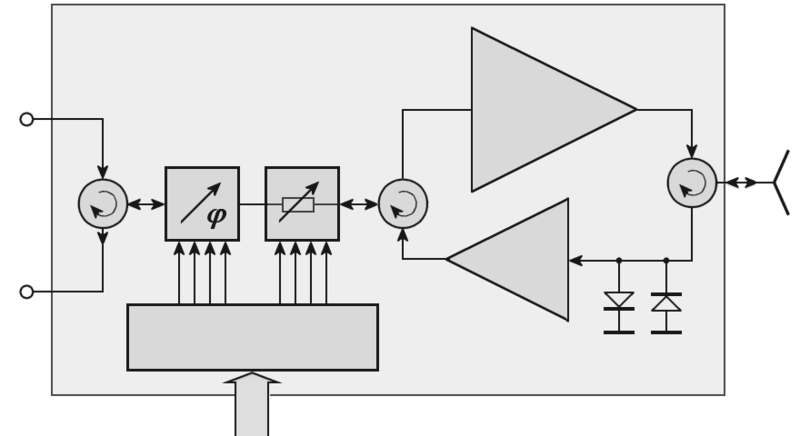 Figure 3: An open receiver block: top the black box with the control circuitry including phase shifter, circulators and attenuator, bottom the low-noise preamplifier.